Is it the end? I can’t say; not because I’m trying to build suspense, but because I don’t know. 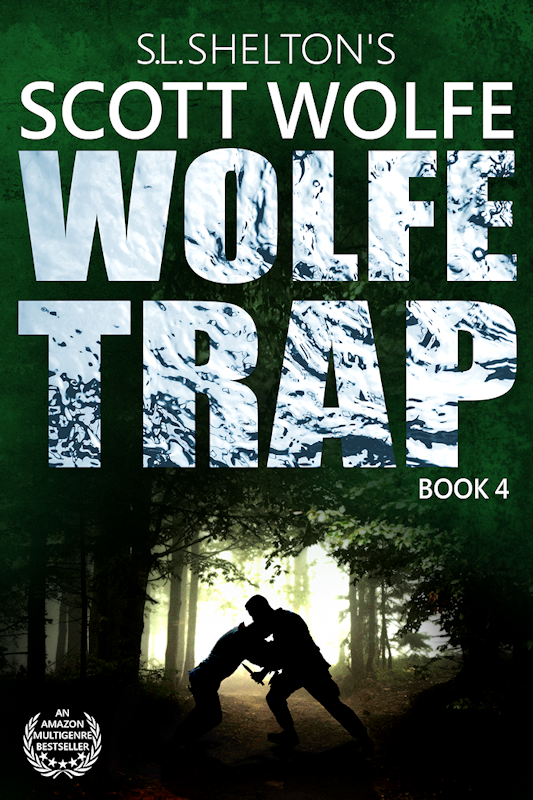 Over the past three years, I’ve come to know Scott Wolfe better than I know most people in my life. In some ways, I know him better than I know myself. He’s headstrong, opinionated, idealistic, and not right as often as he likes to think. 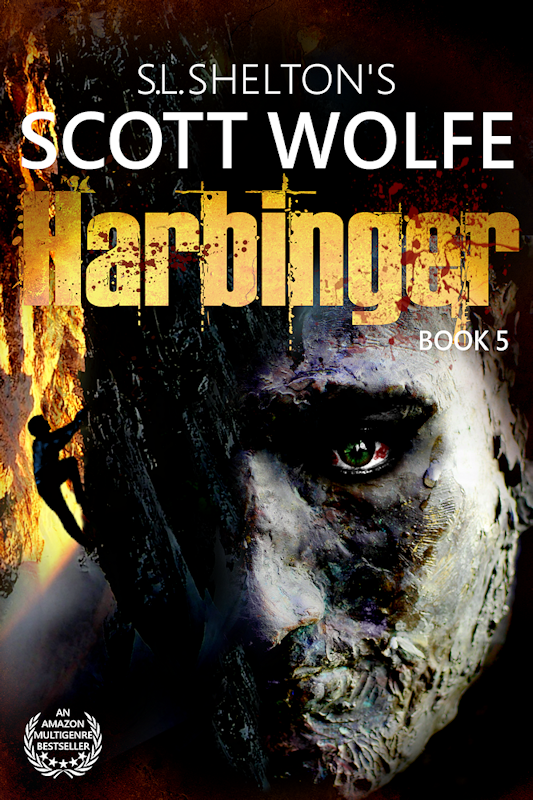 And to be honest, he’s a little more in charge of the story than I am–a creation that has come to life, guiding my hand as I pound out the last volume in the Scott Wolfe Series (check out the new Video Trailer at the end of this post). Unfortunately for Scott, (and me), some of the other characters, events and outside influences will have a hand in guiding this story as well. Scott will react as Scott needs to react…that leaves the story very much up in the air until I write the final scene. It’s been an exciting ride, and is about to get even more so. The twists, they keep coming and as this story unfolds I find myself surprised by the turns and revelations. For those of you who haven’t read the series, I won’t be dropping any spoilers. The story is so unique and filled with twists, sharing even a little of the series arc would be a disservice to you, the reader (or future reader). But I can say with absolute certainty, no one is safe, no one is immune to a visit from the grim reaper–not even the titular character. I have to say I was overjoyed by the response to the series. 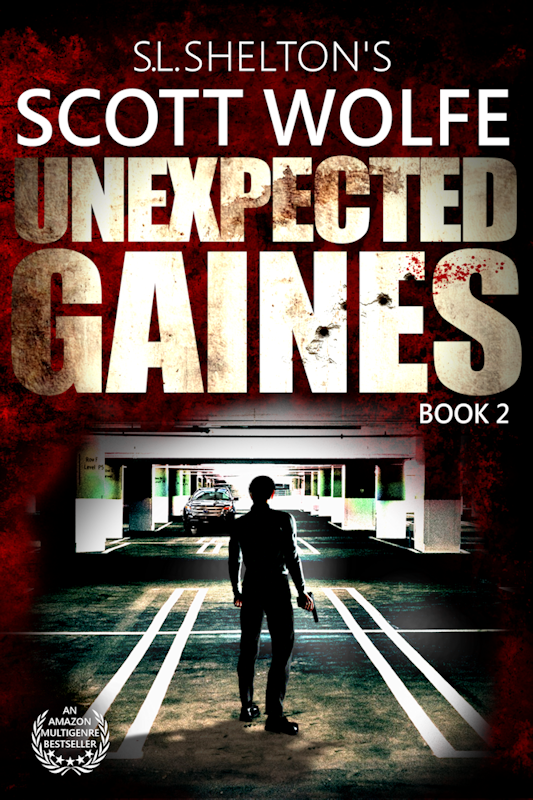 It isn’t every day a first time author sees his novels rocket to the top of the #Thriller genres. Every book in the series has been a top ten Political/Conspiracy/Espionage/Techno Thriller on Amazon, and more than one have been top 5. My first series, my first books, rising to the top of the Amazon Thriller genres was quite a jolt, and gave me the ability to fulfill a life long dream; being a full time, professional author. I even spent about a month as a top 100 thriller author. That put me in some very impressive company; King, Patterson, Thor, Cussler, Anderson, Flynn, Baldacci … and me without a publisher, publicist, agent or manager. Euphoric. I would trade it all in a heartbeat for a cure. As many of you know, my own Gretel has come under a very dark cloud recently. Though sick for more than a year, it took a midnight emergency room visit for doctors to finally discover what had been causing her problems. That was almost four months ago. For the past year, I’ve slowed my writing due to her lingering and (until recently) unexplained illness, and I had all but stopped my promotions, engagements, and networking–with expected results. 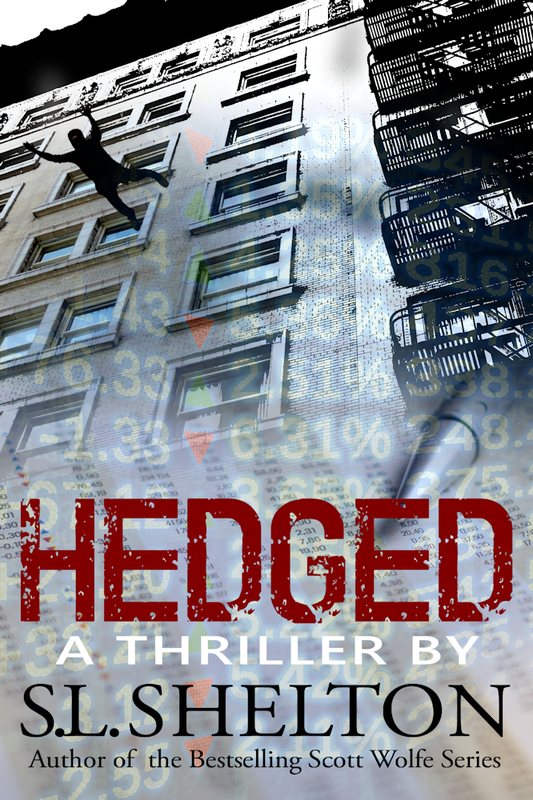 I’d like to say my stories carry themselves into the bestseller lists, Hedged is a top 100 Financial Thriller. It reached the top 20 shortly after release. But as an indie I don’t have the one thing I need to stay on top without daily hard work. That one thing is exposure. 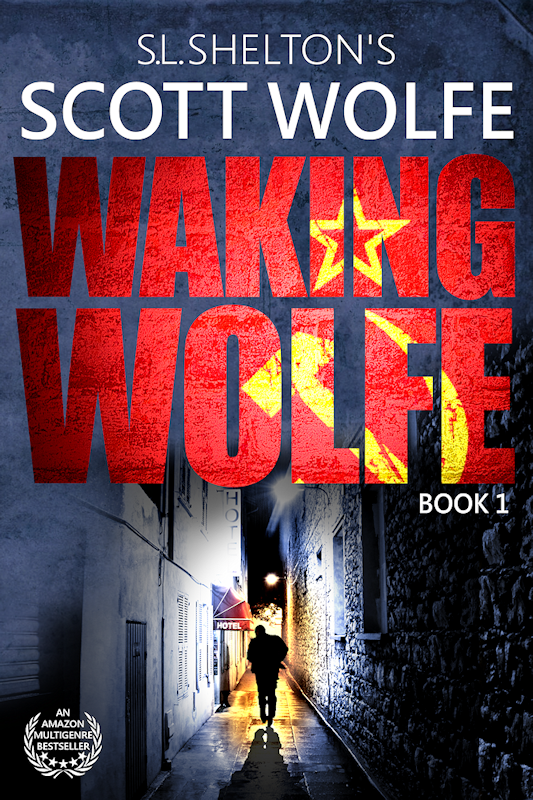 Scott Wolfe is subject to my life’s demands now. He waits patiently when I can’t work on his story. And sadly, though he and the other characters guide the tale, they are subject to my own despair and anxiety. Such is the nature of the Author/Story relationship. 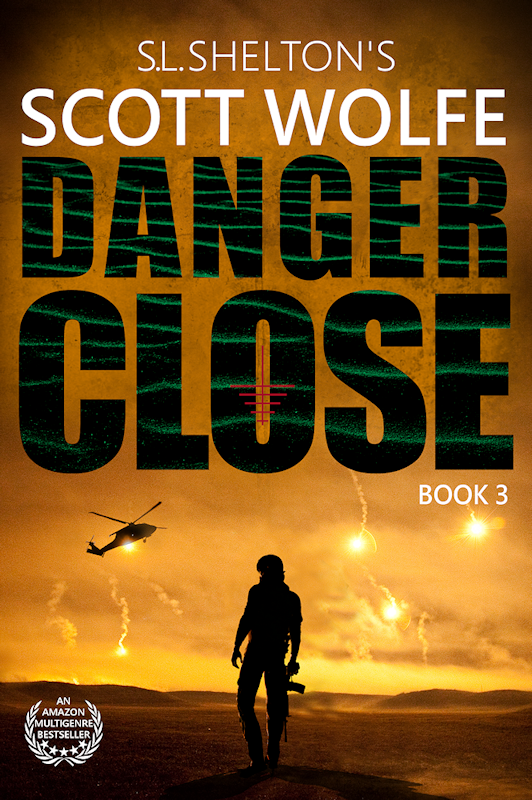 Below is a listing of each book in the Scott Wolfe Series, plus Hedged, my first crime novel. If you have not read them, I wholeheartedly recommend you try them on for size. Read the reviews and see the excitement in the words of others who have read them before you. If you have read them, I ask you to do the kindest thing a reader can do for an author–share your love and excitement with others by providing a review of your own. Amazon is great these days; a short three word comment is all that is required to accompany the stars you click. This is not requested lightly or with dreams of fame and fortune–it is truly a request of need. Each person you tell, each review that you write, results directly in resources for a real person who is going through a real world, life crushing trial. And if you enjoy Scott Wolfe, I offer this one tease for the upcoming Splinter Self, the finale of my debut series–you ain’t seen nothin’ yet. 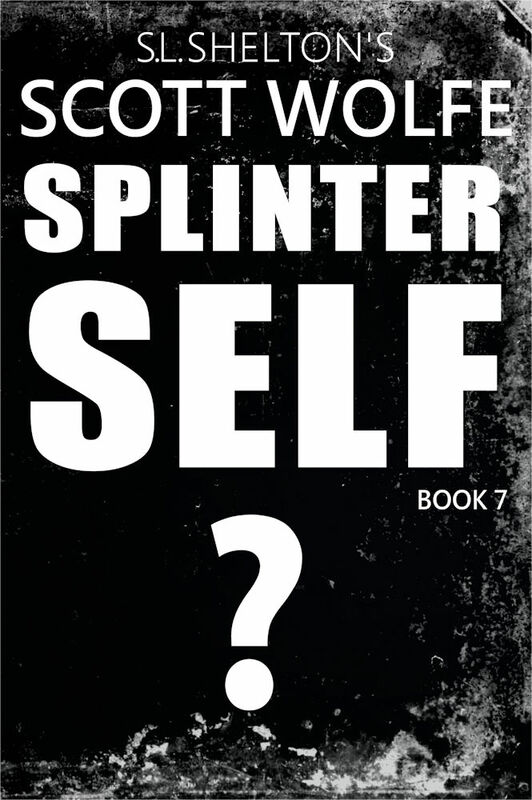 Book 7: Splinter Self – Coming … I’m not sure when. Gretel’s treatments and prognosis have made finishing more difficult than I had anticipated. 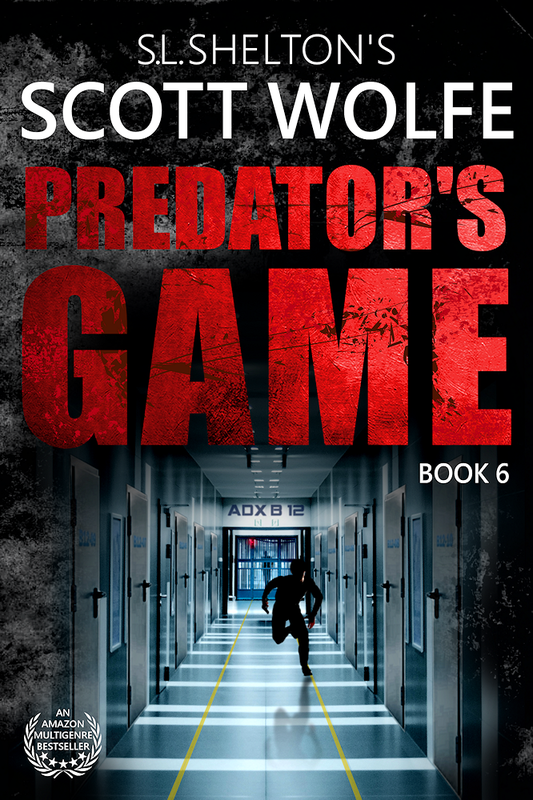 Now for your viewing pleasure, this, the newest book trailer for the Scott Wolfe Series. Please pass it and Scott Wolfe along to others–your simple actions in that regard honestly do make a real world difference in someone’s life. Happy Reading and please share–it only takes a few seconds. S.L. 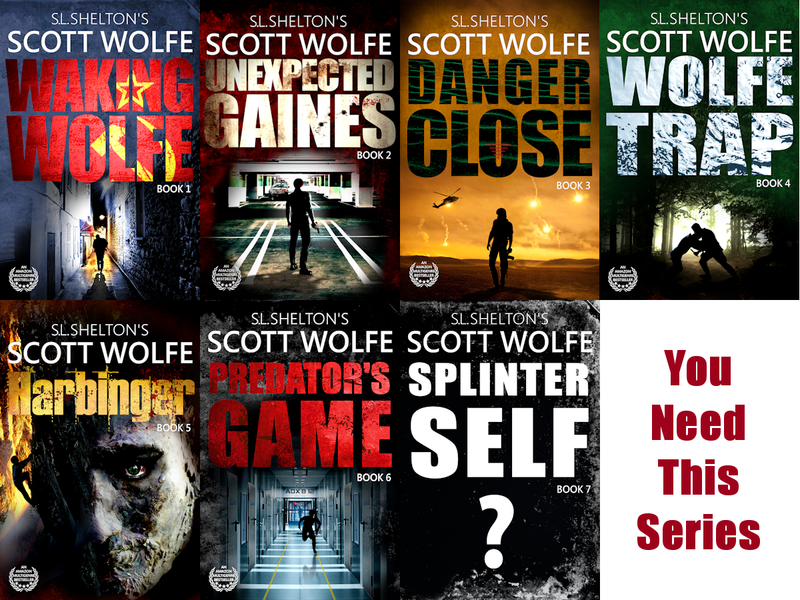 Shelton is the author of an Amazon Bestselling Thriller/Action Espionage Series, (The Scott Wolfe Series), and the new Bestseller, Hedged. Follow him here on WordPress, on Twitter @SLSheltonAuthor or Facebook. His wife is currently battling an aggressive, rare cancer. If you feel the desire to help, you can make a contribution at the GoFundMe that their daughter set up, or buy his books. Dude! Cannot wait. And man I love Hedged…you have proven beyond all doubt in my mind that you are capable of crossing genres brilliantly. Chase Grant is a fantastic, totally broken, anti hero. Bravo! Have shared on all my social media. Thank you, and thank you. Your shares and comments have brightened my day.